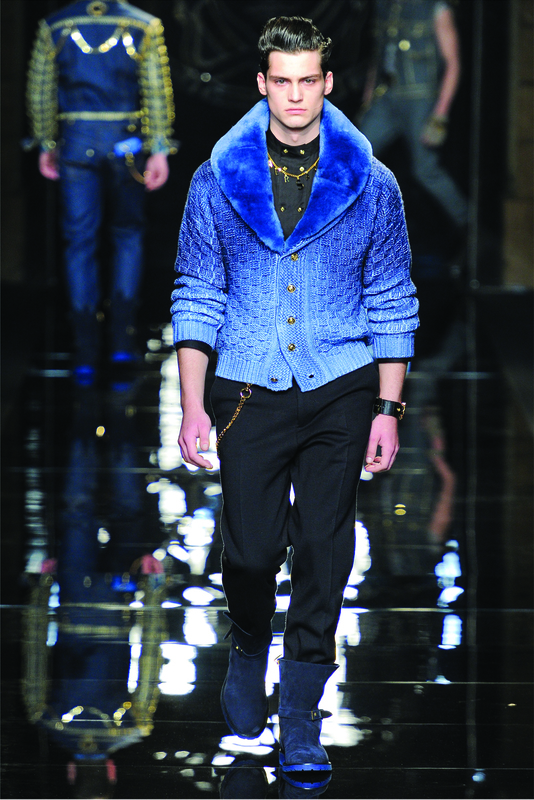 Versace’s Fall collection was a return to what made the iconic fashion house so popular in the first place. Donatella went back to the days of Miami glamour and excess. 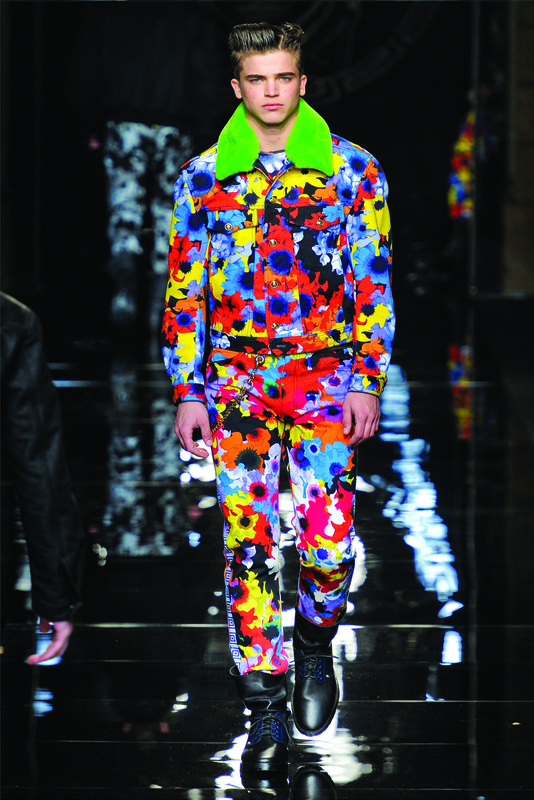 The collection went from Versace’s signature studded denim and leather to psychedelic floral patterned jackets with fur trim. 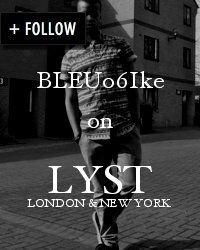 It had a definite 90s feel to it as seen in the boxy silhouette of the suits and jackets and the denim on denim combos. 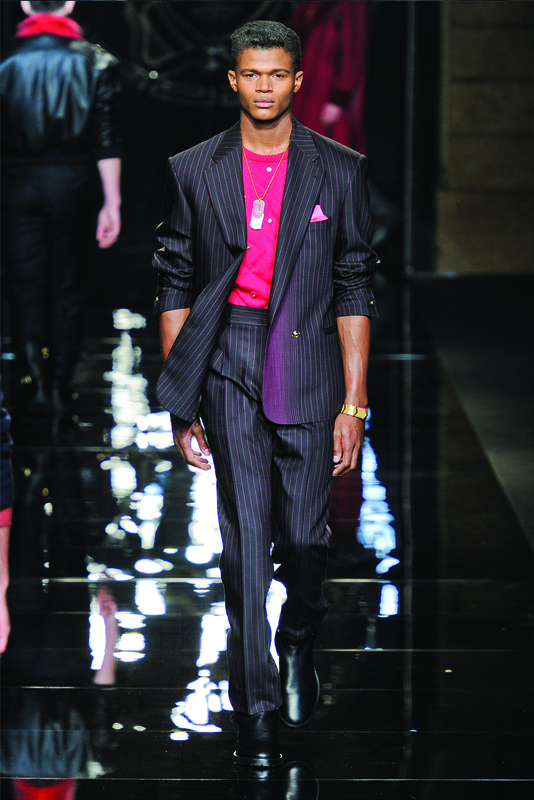 Some of the stand-out pieces for me were the suits with contrasting pinstripes in pink and the sky blue cardigan with a matching fur collar. 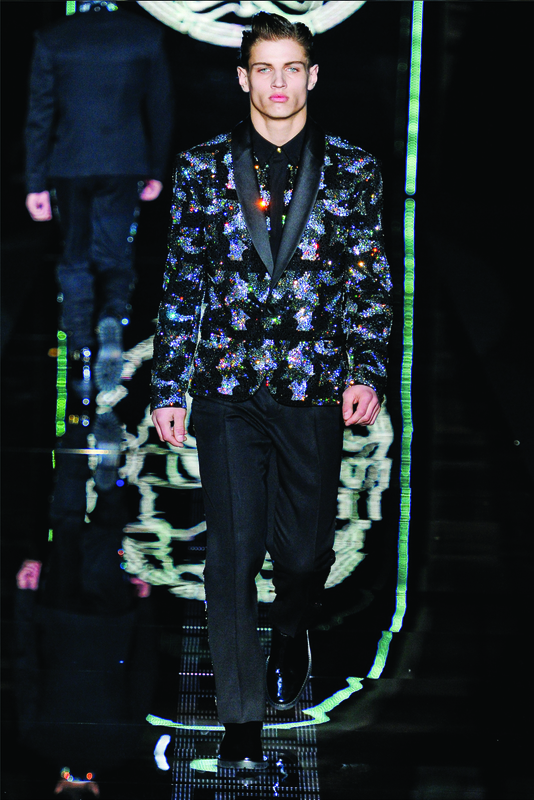 The Swarovski-embroidered blazers added a real sense of glamour to the collection. Versace’s collection was probably one of the most daring and adventurous shows of Milan Fashion Week, I love the way they toe the line between garish and gorgeous so effortlessly. 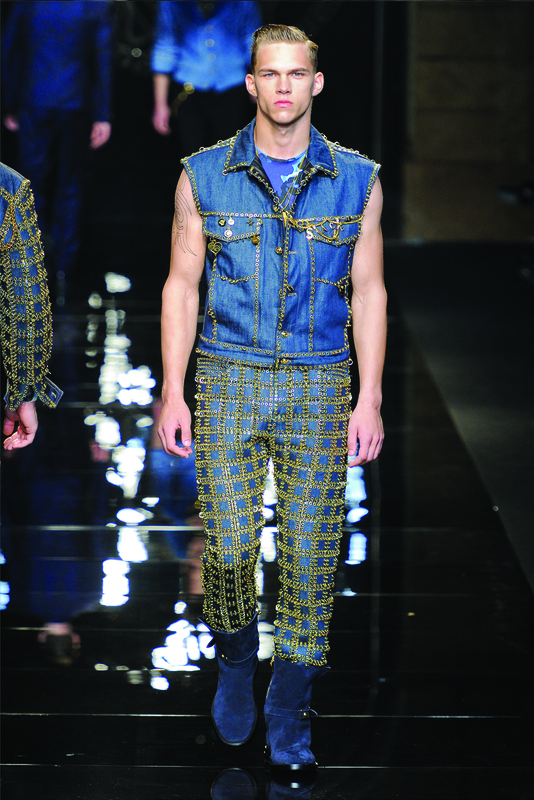 I feel that Donatella produced a collection that every die-hard Versace fan will be anxiously waiting for.